Figuring out a title for this post was difficult. Seriously, how in the world do you word how you remember the birthday of your daughter that died? It’s kind of impossible, because it’s so far outside the realm of how things are supposed to be. There’s a lot that you aren’t prepared for in mothering. Forget milk blisters, hemorrhoids, and mucus. How to handle the legacy of your baby that passed away ranks up there as the biggest ‘never talked about’ parenting situation. It’s one of the things you don’t read in the ‘hey-you’re-gonna-birth-a-magical-unicorn-baby‘ What to Expect books, or ‘you’ll-be-glamorous-and-it’ll-be-pain-free‘ Baby Birth reality shows. Four years ago, loss became our reality. This year we should have been planning a 4th birthday party. A preschooler. I’ll admit, it’s more than a little hard to wrap my head around the fact that, to us, she’ll always be 28 days old. Year after year. As I shared with you last fall, it hasn’t gotten easier. Time, on its own, isn’t a healer. God gave us a gift through her life… and her loss. A gift of hope for a Heavenly reunion, and a gift of earthly perspective where rose-colored glasses have been shattered and replaced with bifocals of compassion and empathy. How do we celebrate her life? How do we honor her legacy? Miranda’s short life touched many. Only a few of which do we get to realize earth-side. From the earliest hours of her struggle for life, we knew we needed to honor her and glorify God through this bittersweet gift. Celebrating her birthday and marking the anniversary of her passing matters. I wish I could say that I knew right away what was the right way to do this. But I didn’t, and I’m still learning. Each year as our family grows, we seek to find the way to meaningfully celebrate. We haven’t yet found our ‘one thing’, but we have always made some loose plan. I remember always the advice we received in our family bereavement group: No matter what we would or wouldn’t do, make a plan for the day. Big or small doesn’t matter, but don’t let the day arrive with no plan at all. Deliver cookies to the PICU. The staff of the PICU became an extension of our family as they cared for Miranda. It seemed fitting to revisit the place that help our physical memories of her life… except that the PICU as we knew it no longer exists after the addition of the new Children’s Center. Still, many of the staff remembered us and welcomed us and gave us a tour of the new facilities. Environmental concerns aside (seriously, this is not up for debate here), there is a child-like joy to watching a balloon soar to the heavens… and balloons are a must-have for most children. It hurts, but sometimes it feels right, to celebrate her birthday the same way we do for the birthdays of our living children. Sometimes we release them for her birthday, sometimes on the anniversary date. 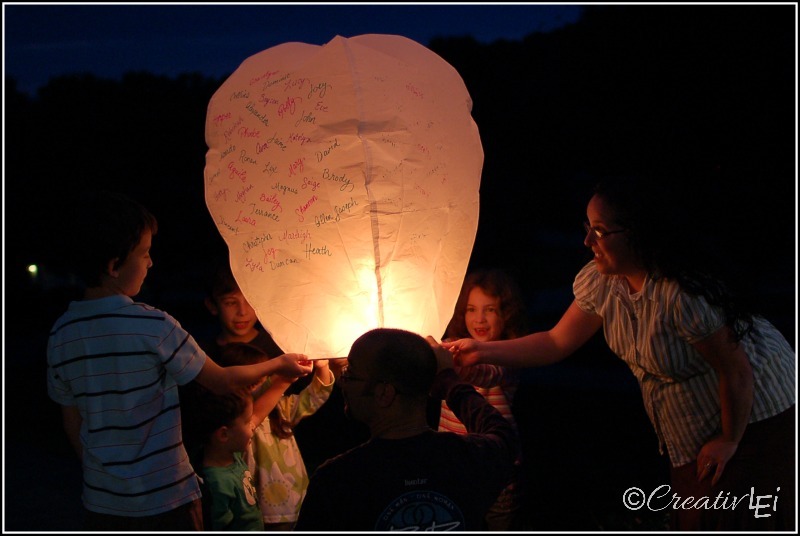 For Miranda’s 1st birthday we decorated the lantern with birthday wishes and the names of children our friends and family have also lost too soon. Spread flower petals at her grave site. The spot in the cemetery that her body was laid has a LOT of rules for what we can’t do. Nothing we leave at her marker stays. Their grounds-keepers remove everything for moving and do not return them. Spreading flower petals is something beautiful we can do, and allow the weather to wash away. 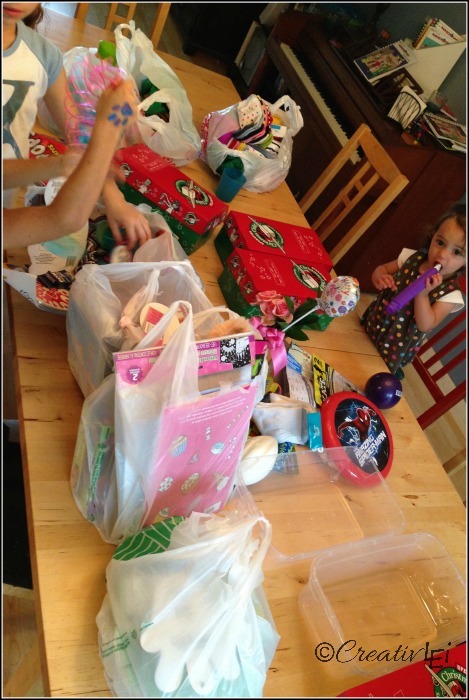 Pack Operation Christmas Child shoeboxes. One of my favorite legacy items is packing shoeboxes. It is really fun and gratifying to shop for a child on the birthday. 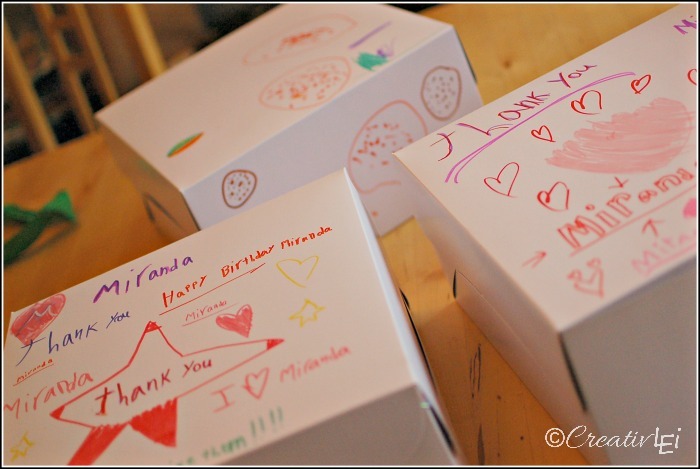 The end of September is the beginning of the season when OCC boxes are getting thought of, so it was fun to use Miranda’s birthday as a shopping day for our boxes. We can even use the whole month to put the boxes together, because the anniversary date near the end of October is a good deadline to be ready for collection dates. Sponsor a child with a similar birthday. We first looked into child sponsorship with Compassion International. My heart’s desire was to sponsor a girl close to Miranda’s age. We ended up not finding our sponsor child until a couple years later when Willet visited our church and brought photos of children to be sponsored through Food for the Hungry. We found a little girl with a birthday to match Miranda’s due date. 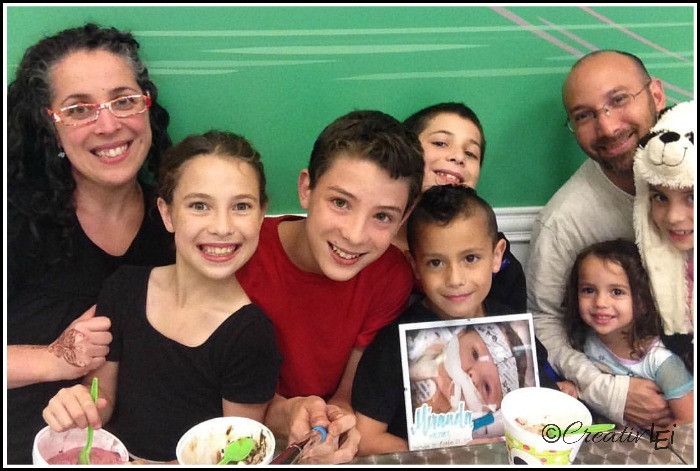 This year, we had a frozen yogurt date to contribute to a local fundraiser. Each year, we find what’s right for us to mark her days. It is bittersweet. The opportunities we have to use her dates to bless others really do help to heal our hearts. We’d trade anything to be celebrating with her instead of for her. We know one sweet day, we’ll see her again. 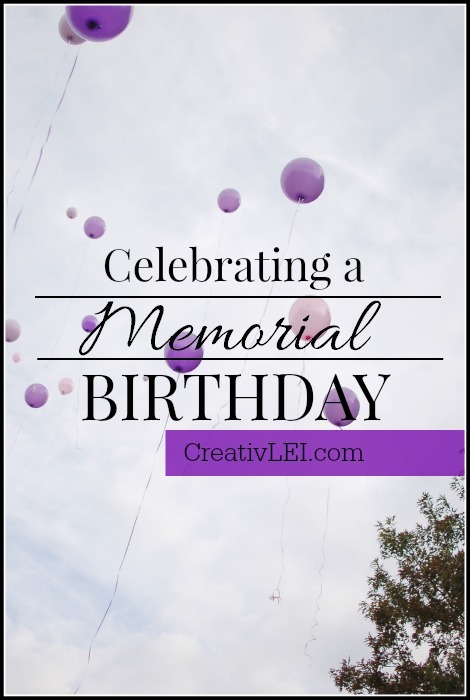 Do you have a special way of celebrating the birthday of a loved one you’ve lost? How do you honor the memory of their days? « Is Love Your Lettering for Me? Lisa, thank you so much for sharing your tender post. One of my sons passed away in the 2nd trimester 8 years ago and I always struggle with how to mark his due date and his passing (Nov 20 & May 28). Of course, I will never forget, but those days are just ordinary days to everyone else in my life. Since he was never alive outside my womb, we have no pictures and no one ever met him. How do I acknowledge my son’s short life without making my family feel uncomfortable? I appreciate you sharing some ideas. Isn’t it a joyous peace to know we WILL see them again Someday? I’m sure Miranda and Timothy are playing together with Jesus today. It is a connection that none of us would wish for, but those of us in this sisterhood are so thankful for the understanding of each other. Thank you for the encouragement. I’m so sorry for the loss of your son. It is so difficult to find the right answers for our family. My hope in sharing is to not prescribe a formula that works, but to encourage others to talk about their journey of grief a a means of hope to others not quite as far down the road. Thank you for being a part of this conversation. 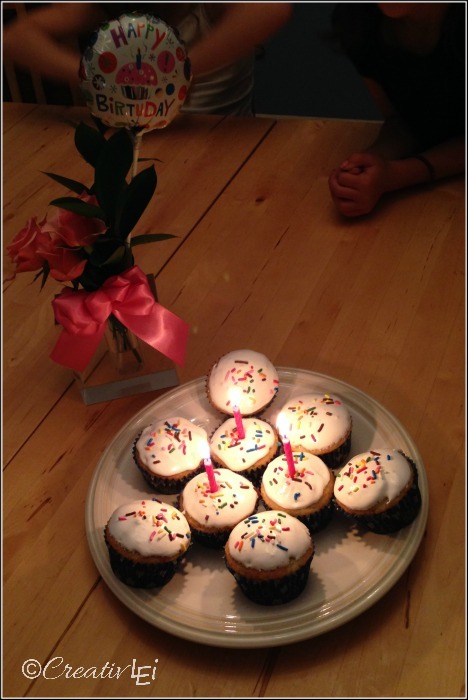 We also sponsor a child with his birthday- another way to keep him close. At Christmas we always look for an Angel Tree Angel ( or another organization) that is his age, and we adopt them for the holiday. Additionally, I usually buy school supplies, and a winter coat/gloves/etc that are for a youth his age and donate it to Shepherd Staff. While I can afford it- the part of my budget that would be for these things for him- I can help another. I loved reading about your traditions. 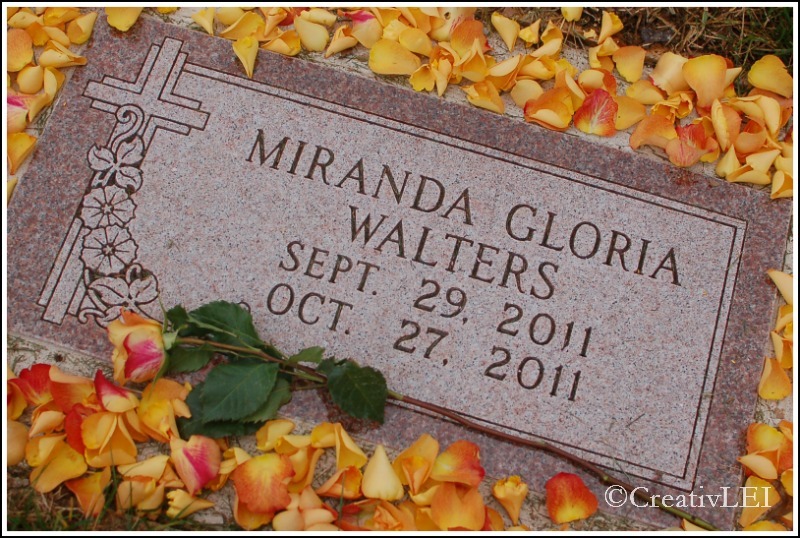 Miranda’s birthdate and her passing are also close together. It’s kind of bittersweet that way because we have a season of remembrance for her. We also have allowed our other living children to be a big part in deciding how we celebrate. Thank you so much for sharing a bit of your grief journey. I love the tradition you have! Absolute the worst to lose a child!!! I”m hosting a small celebration party for what would be my daughter’s 18th birthday, it will only have been 6 minths since she passed but we don’t want to let her birthday pass. Firstly, I am so sorry for the loss of your daughter. As for the invitations, my first instinct is to write something along the lines of “Join us as we remember…” I certainly understand the apprehension to ‘happy’ but I do hope that through the celebration of her life that there are moments of joy amidst the sorrow and that those that are invited can truly embrace the bitter-sweetness of the occasion.